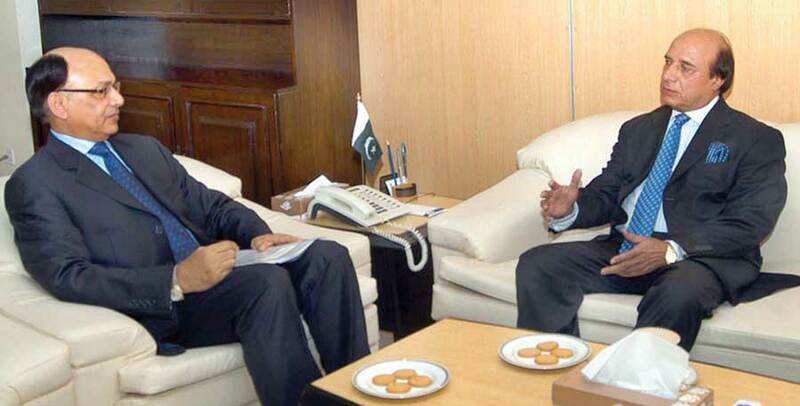 Adviser to Prime Minister for Information Technology, Sardar Muhammad Latif Khan Khosa has said that cellular companies have major contribution in the promoting the national telecom sector and have created job opportunities in the country. He expressed these views while talking to Chief Executive Officer and President of Mobilink, Rashid Khan who called on him here in Islamabad. The Advisor lauded the services provided by the cellular companies to the public and recognized that they have invested a huge amount in Pakistan which has expanded the job market for the Pakistani youth. The Advisor said that government is making all out efforts to boost up the national telecom sector and spreading the telecom facilities all over the country to benefit maximum people. ‘Suggestions from the cellular companies to promote the network will be welcomed and the discrimination and disparity between cellular companies and local loop operators will be addressed, he maintained. through this step of the govt of pak done graete progress in pakistan. We need your kind attention for our issues to promote An orascom Telecom Company in Pakistan. We the Franchisee of Pakistan Telecom Communication Limited suffers badly by the local management, we are facing loses, when we are facing losses how we promote PMCL.